The proliferation of digital media made accessible via the internet has given rise to the need to describe and classify data using shared terminology, or metadata. Around the world, libraries, archives and digital repositories rely on multiple metadata standards to describe their holdings. Similarly, news organizations, businesses, law firms and curators all use metadata for photographs, legal cases and art collections. A big part of being a successful data manager is understanding today’s metadata standards and which ones are needed for the data type at hand. Complex and granular metadata schemes have been created, however it can be a veritable alphabet soup of standards and protocols that can baffle even the most tech-savvy organization. 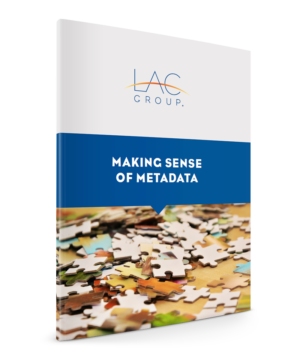 Several types of metadata standards are available—descriptive, structural and administrative—each with their own role to play in searching and retrieving both physical and digital data assets. From Dublin Core, to METS to MARC, this resource describes quite a few of the most widely known metadata standards, how they came about, and how they are commonly used. For anyone involved with data management, this is a good starting point or refresher on making sense of metadata.